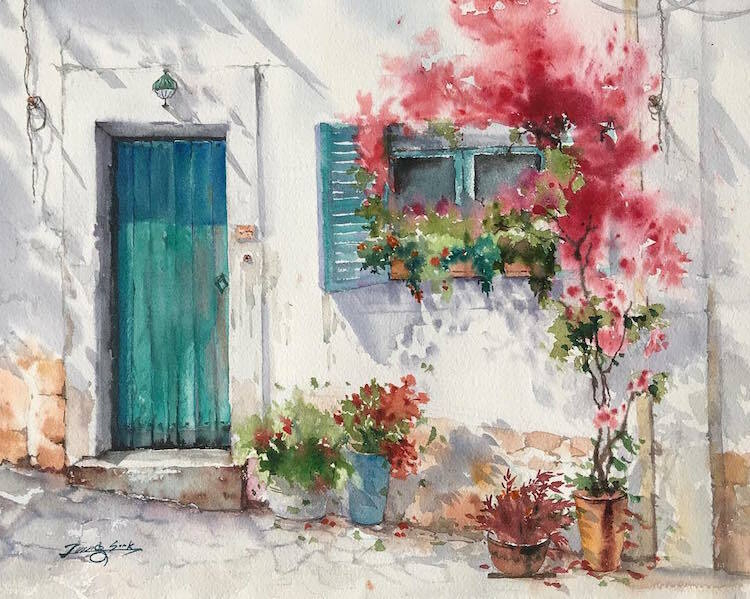 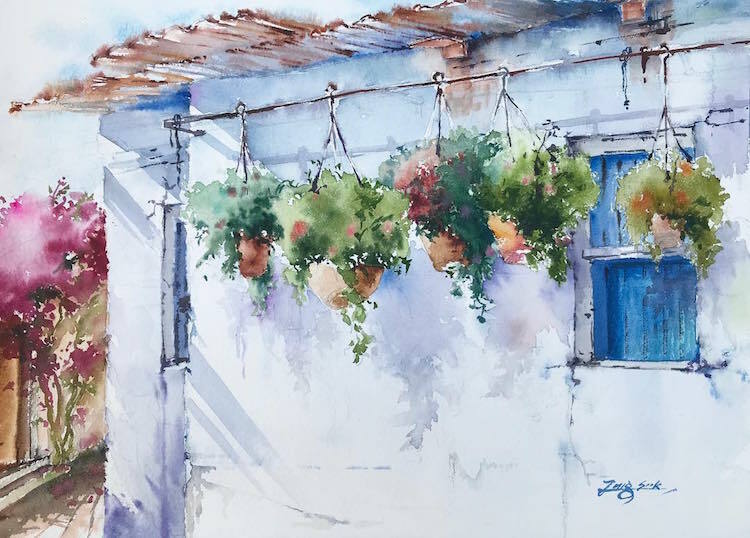 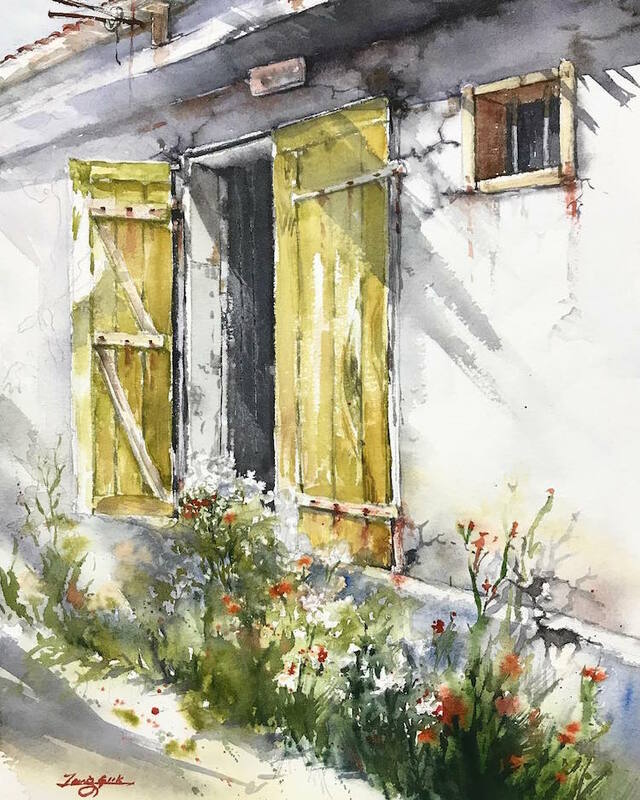 Artist Jungsook Hyun captures snapshots of the California countryside with her delicate watercolor paintings. 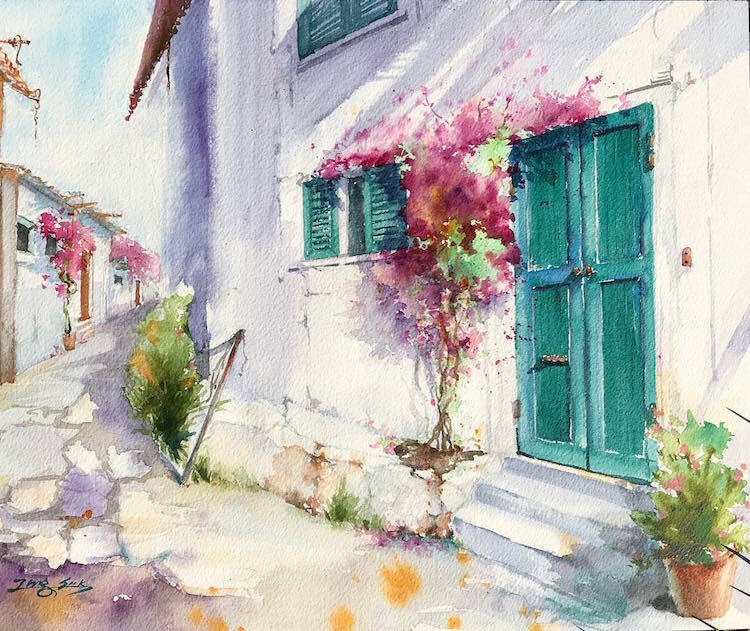 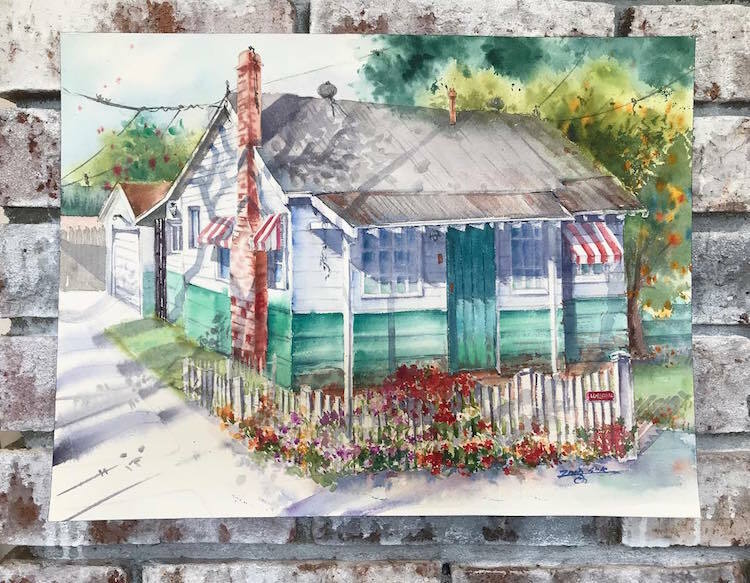 Based in Fullerton, her work details the town’s quaint streets and eclectic mix of historic buildings, surrounded by agricultural beauty. 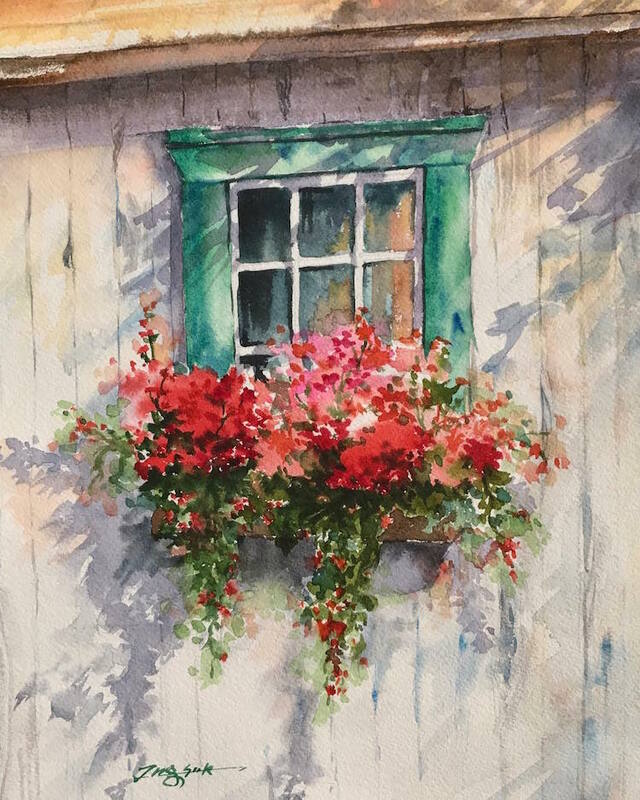 Homes, cafes, and storefronts feature old-fashioned shutter windows, balconies, and colorful entrances adorned with cascades of radiant flowers and potted plants. 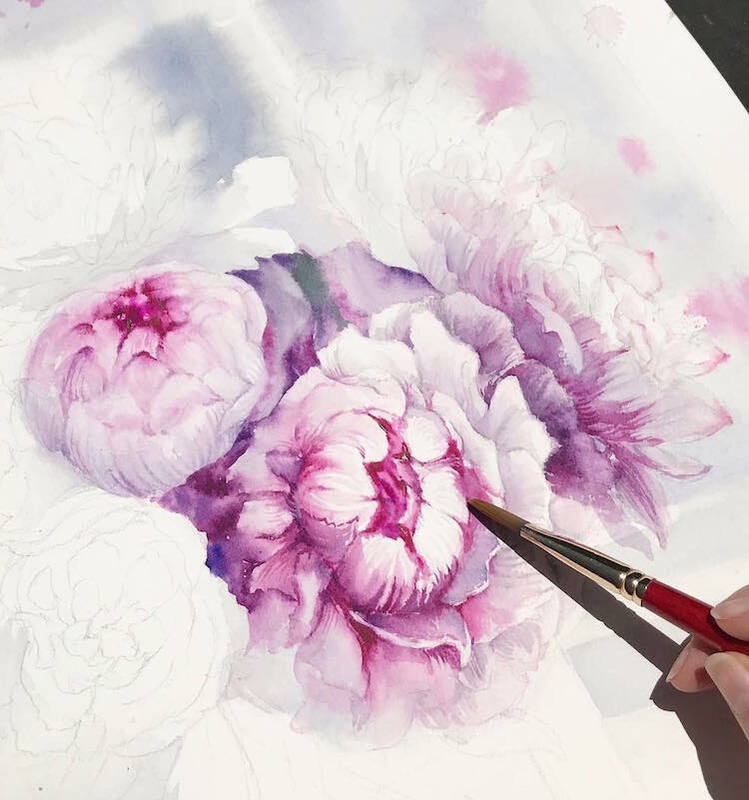 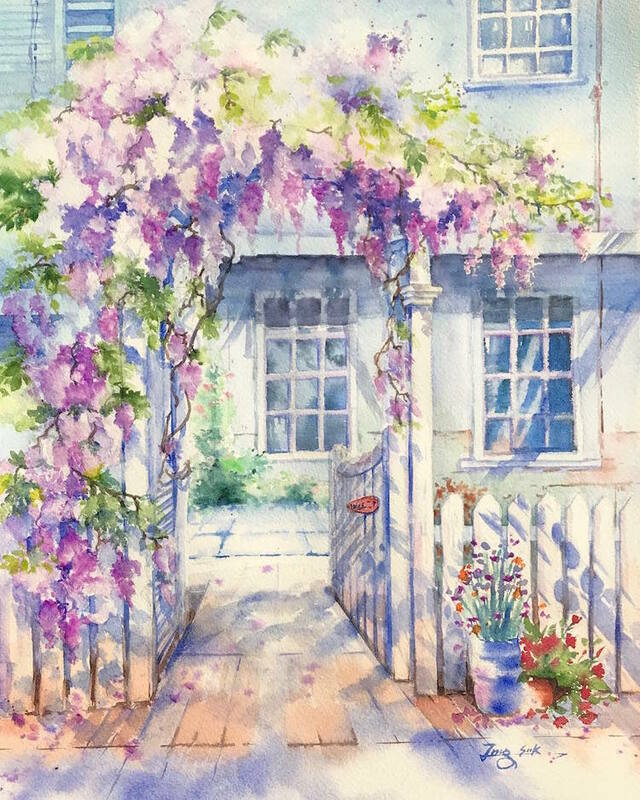 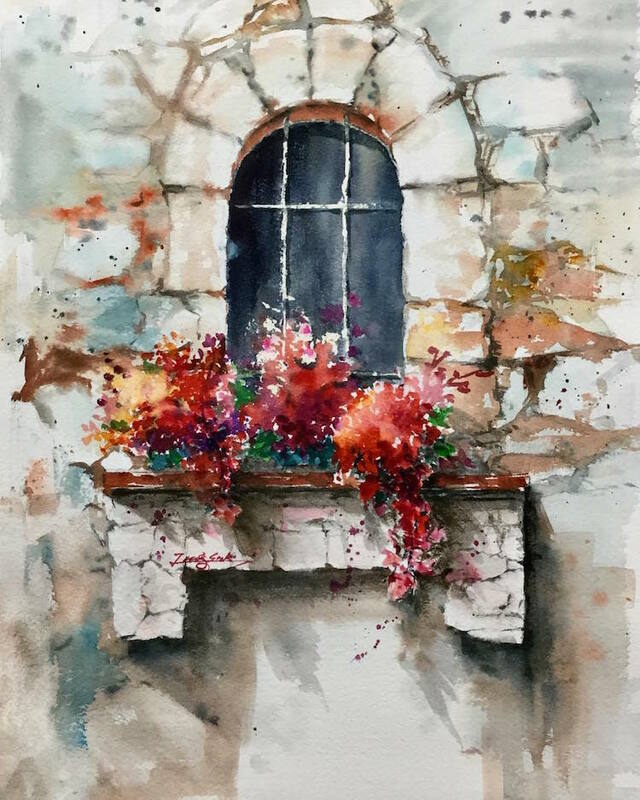 From pastel-hued facades to close-up studies of flowers, Hyun’s colorful portfolio seems to bloom just like a garden in spring. 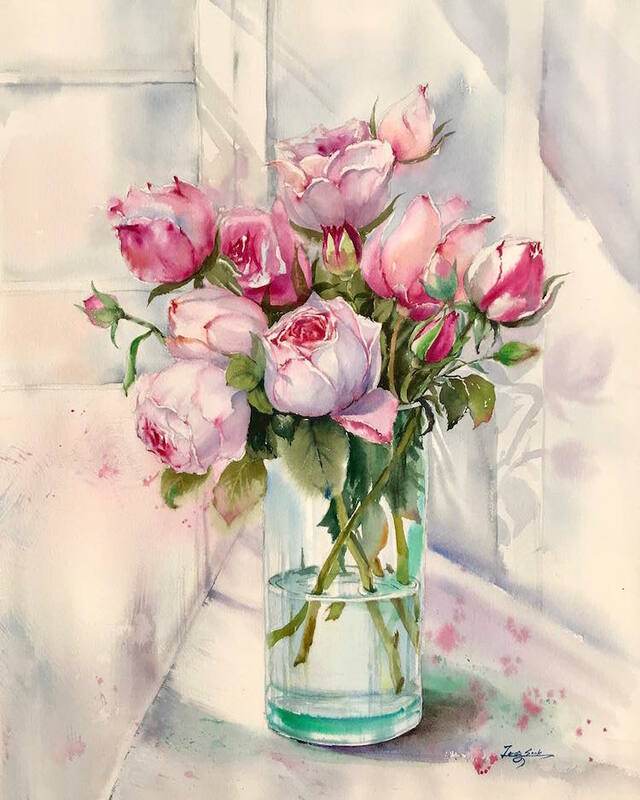 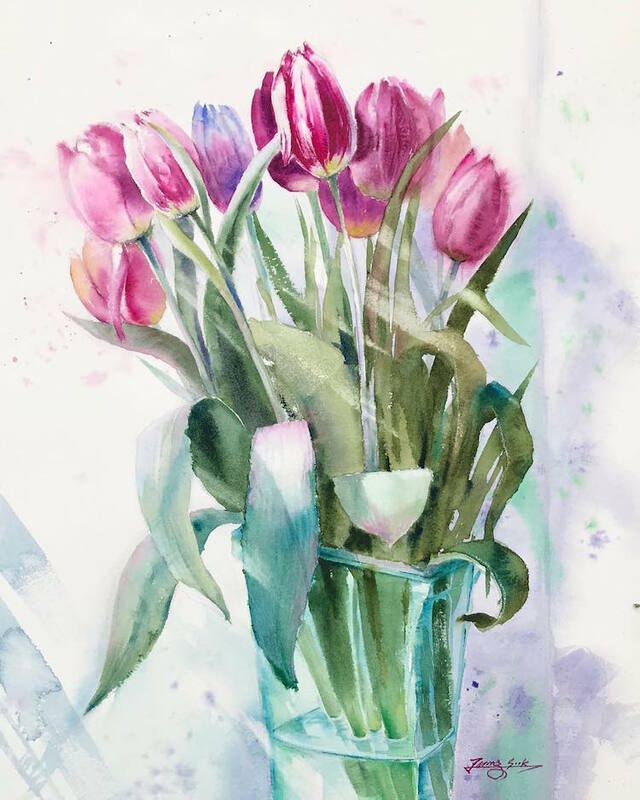 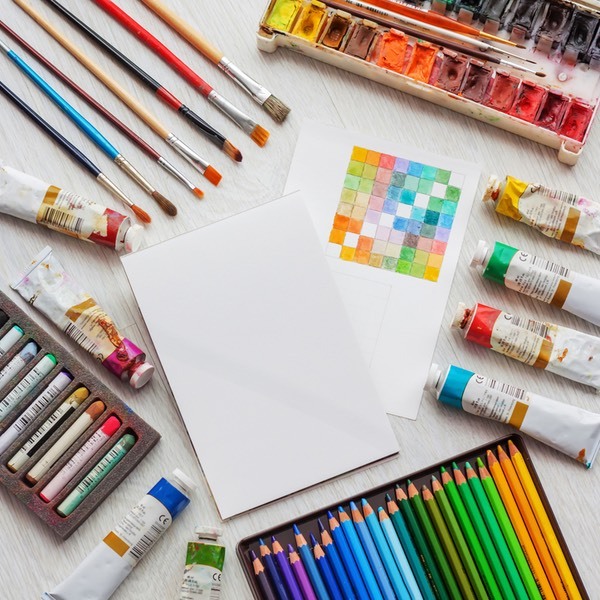 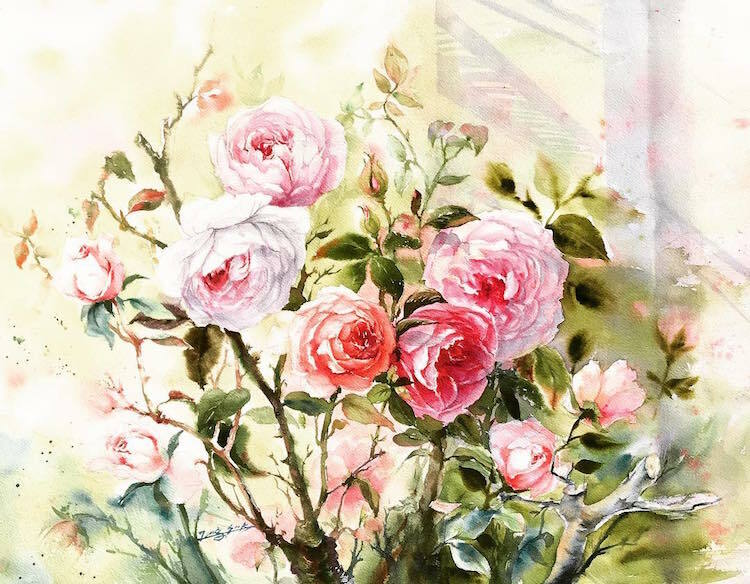 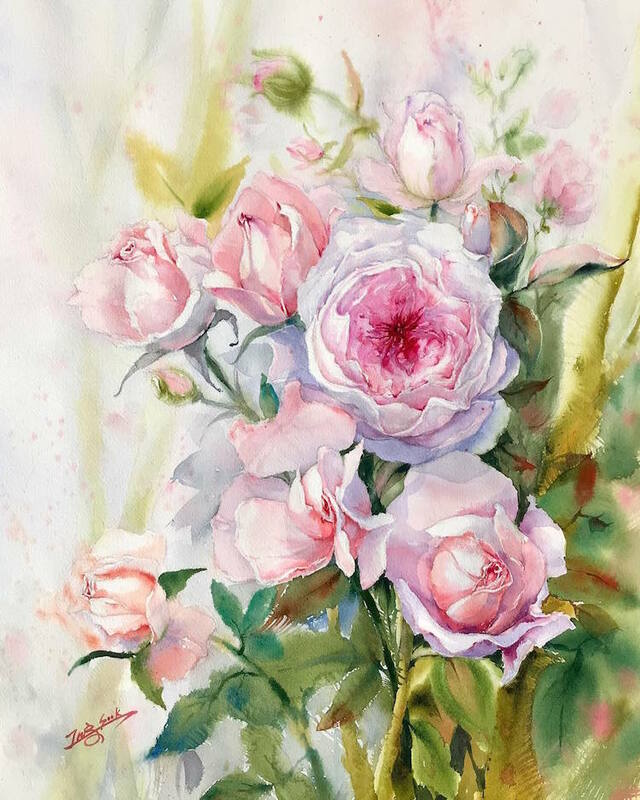 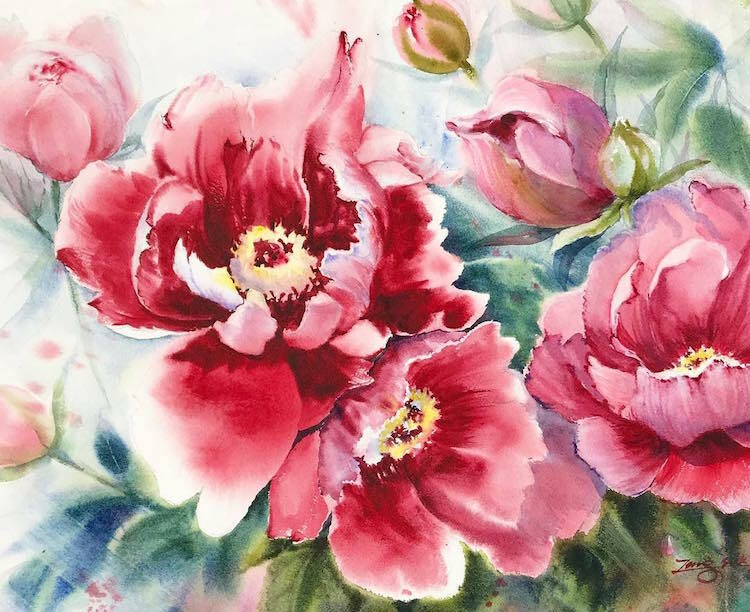 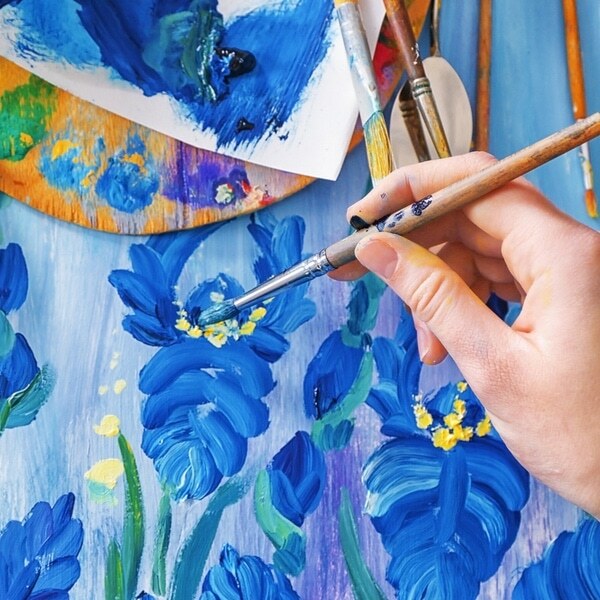 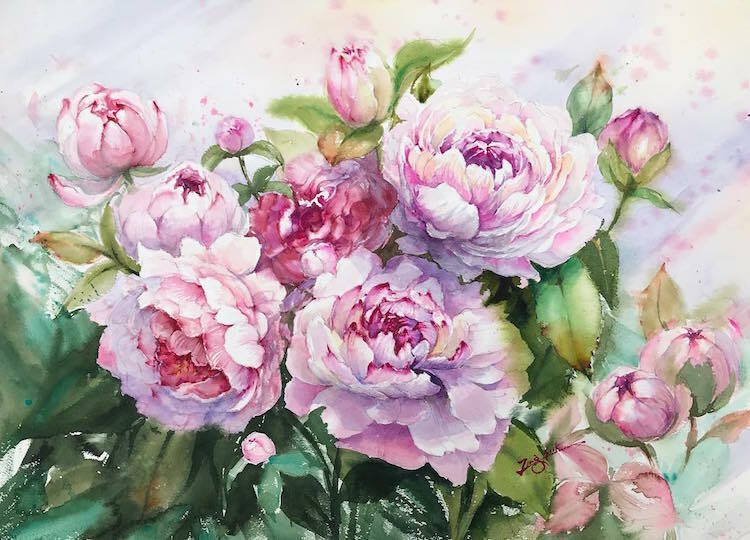 Roses, peonies, tulips, and daffodils are painted with washes of color that depict their delicate petals, leaves, and buds. 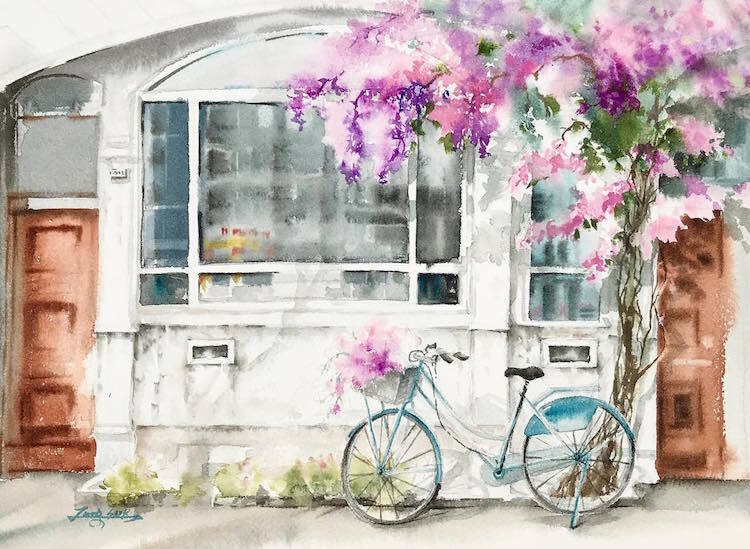 Her charming outdoor scenes are rendered with soft, gestural paint strokes that detail various tones and shades of the picturesque neighborhood, while the use of exposed space illuminates the sun-flooded scenes. 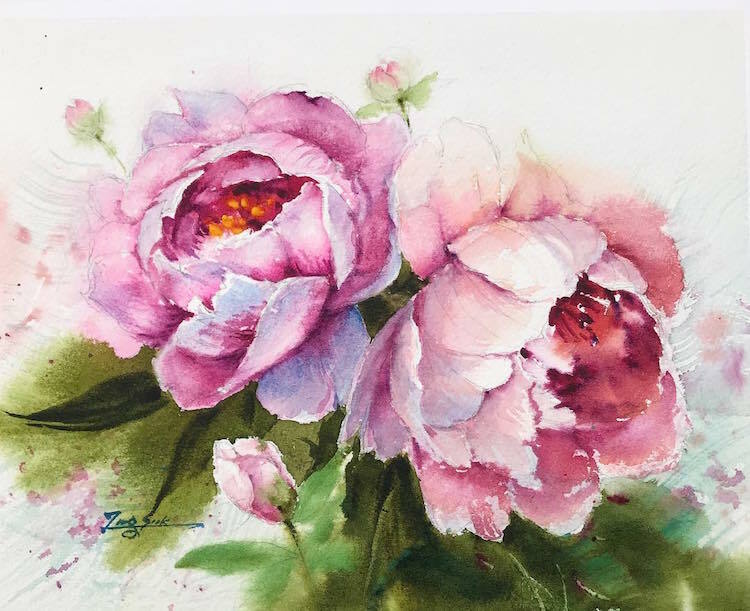 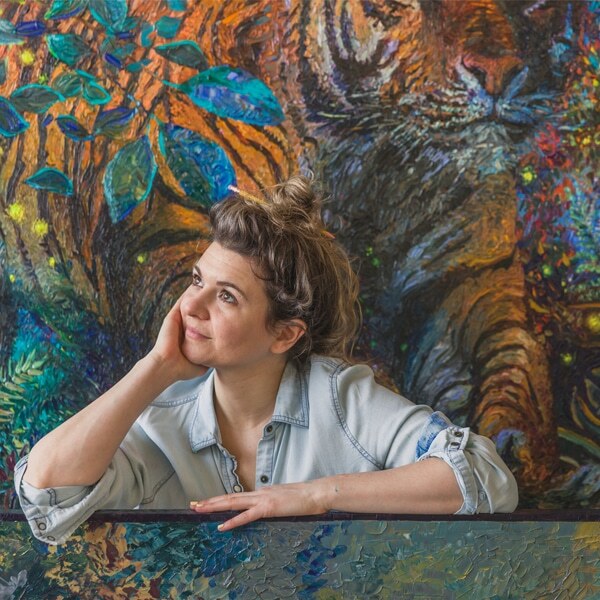 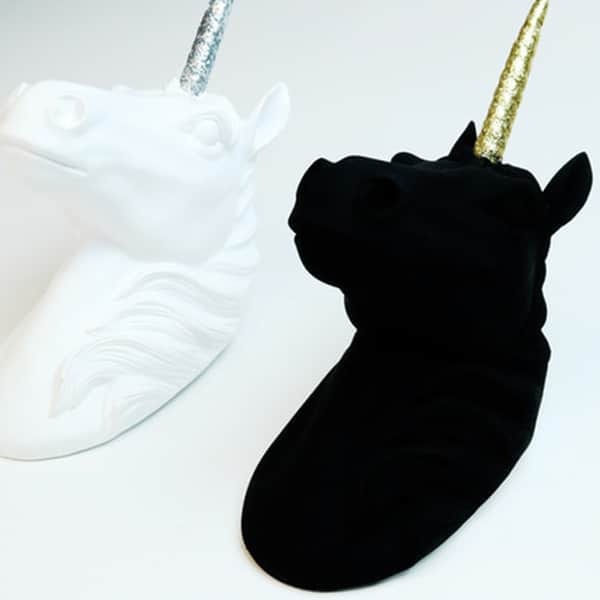 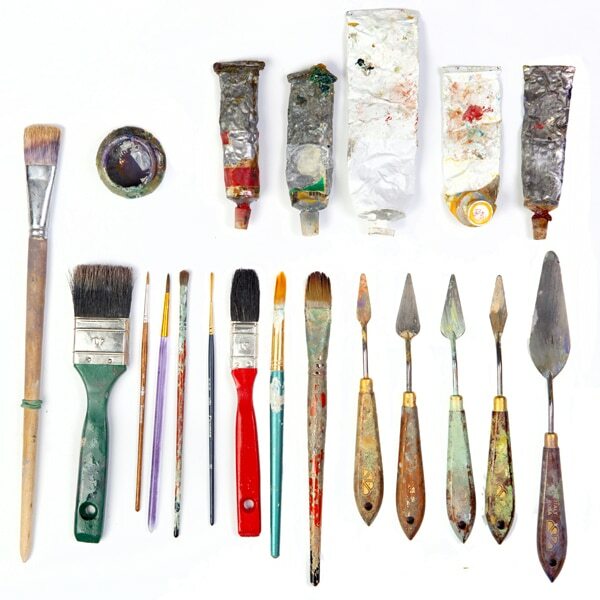 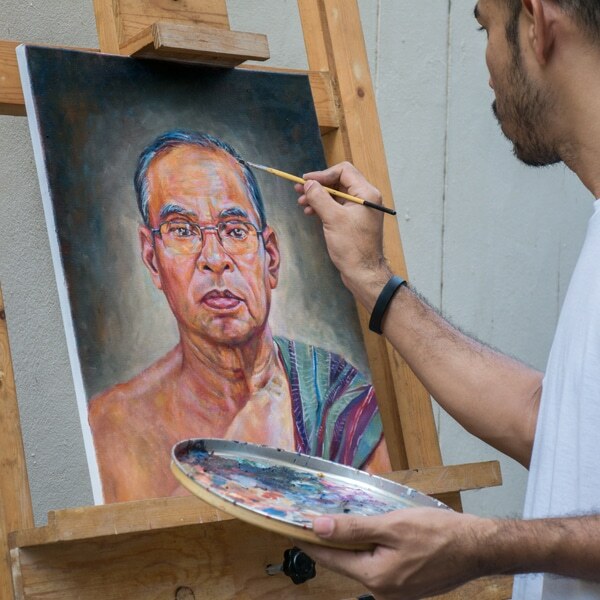 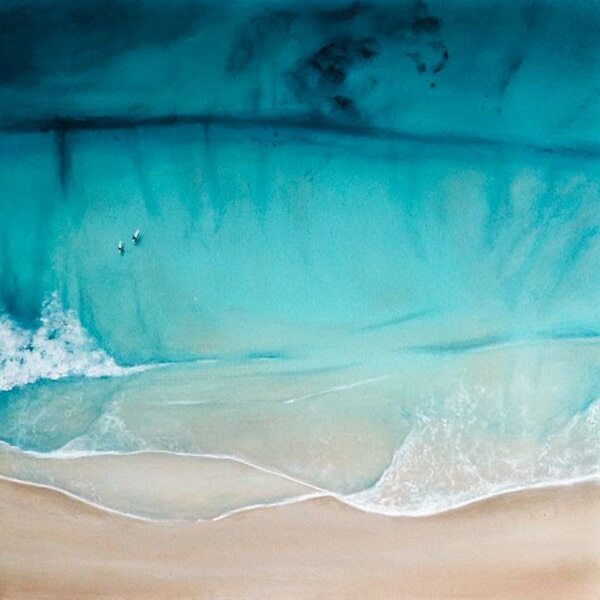 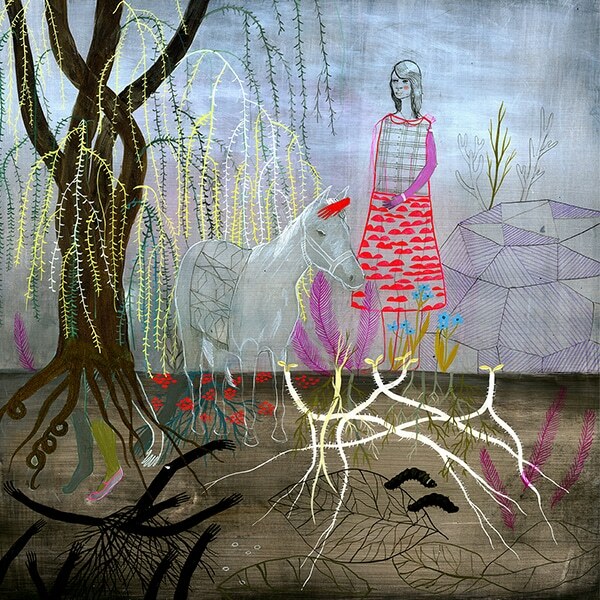 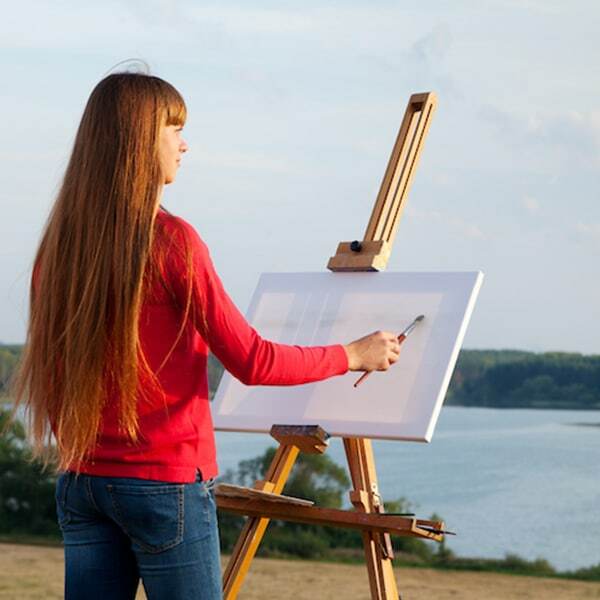 Since graduating with a Masters in Fine Art in Korea in 2000, Hyun has exhibited her paintings all over the world. 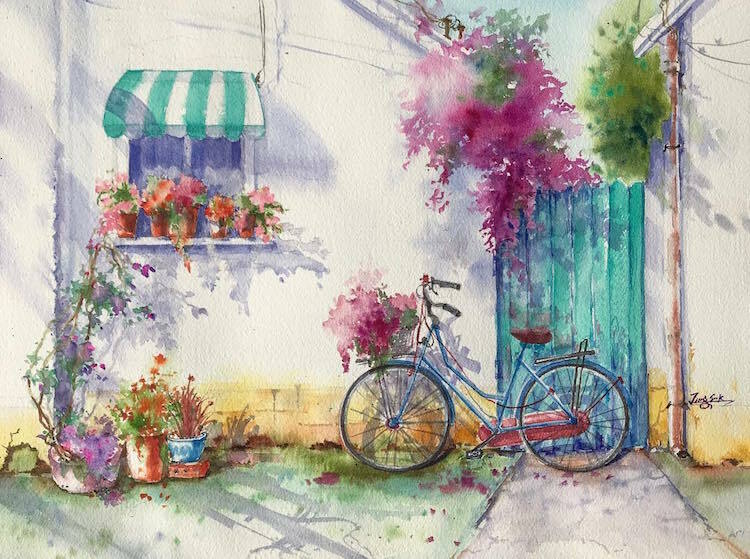 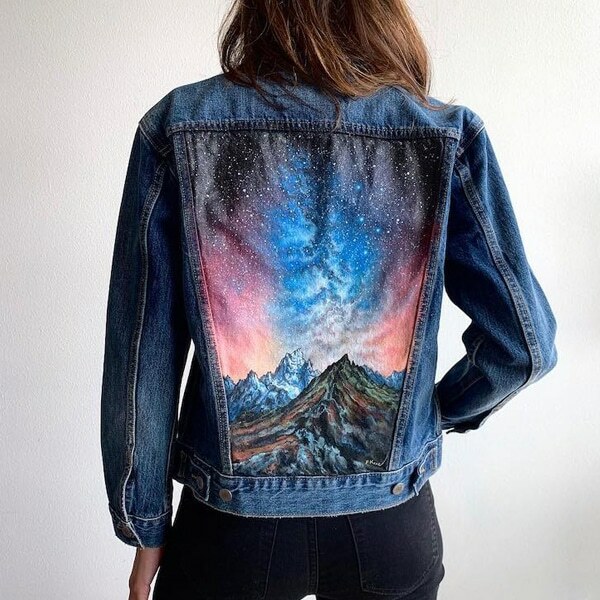 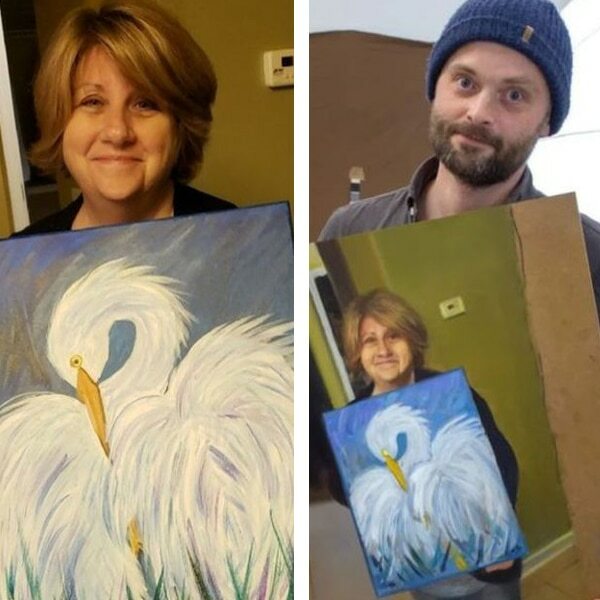 You can find more from her colorful portfolio on Instagram. 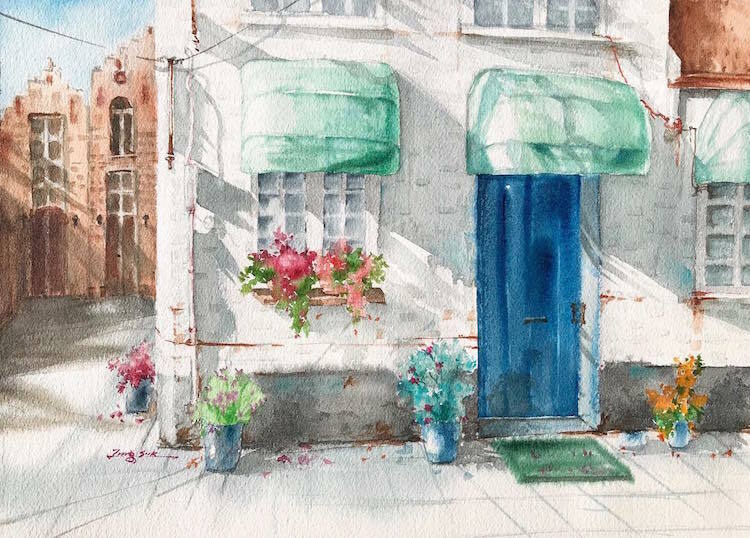 Artist Jung Sook Hyun captures snapshots of the California countryside with her delicate watercolor paintings. 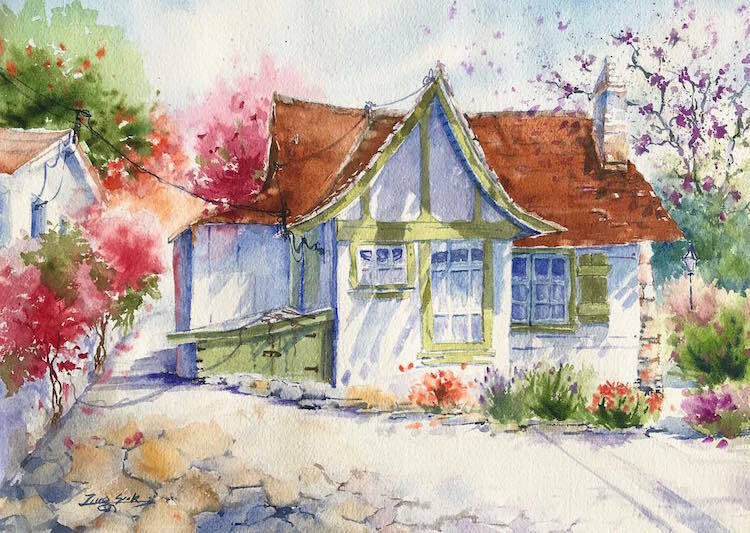 Based in Fullerton, her work details the town’s quaint streets and eclectic mix of historic buildings, surrounded by agricultural beauty. 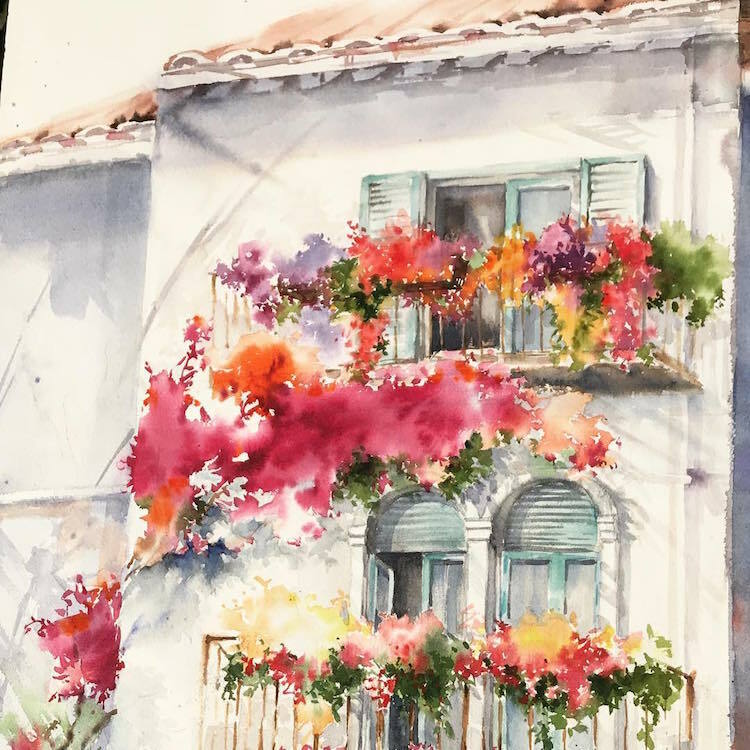 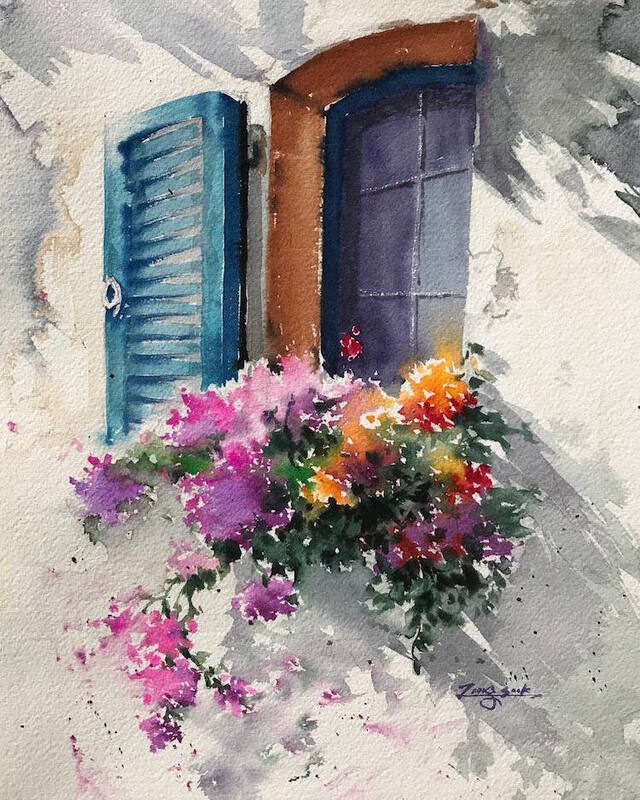 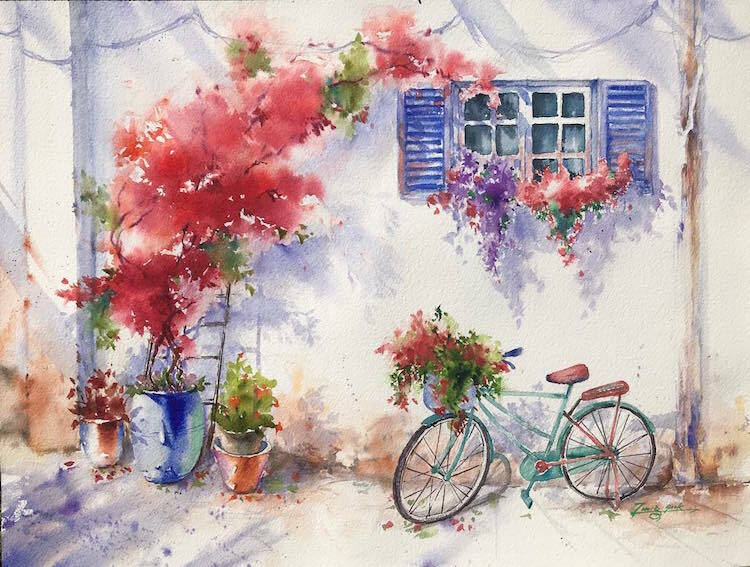 Homes, cafes, and shopfronts feature old-fashioned shutter windows, balconies, and colorful entrances adorned with cascades of radiant flowers and potted plants. 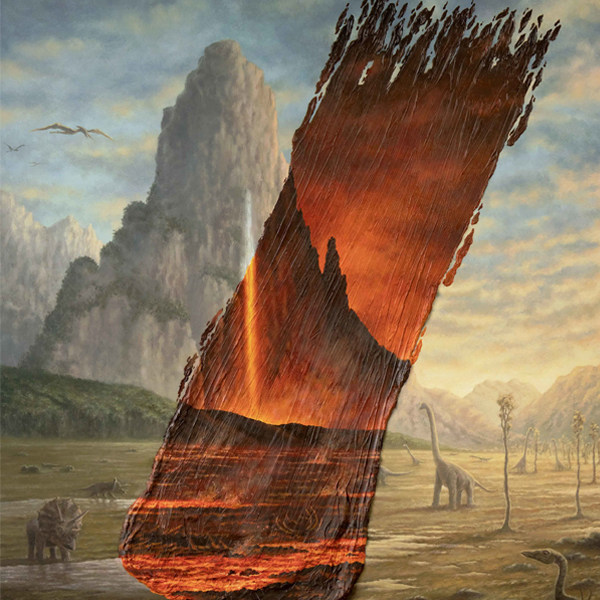 My Modern Met granted permission to use photos by Jungsook Hyun.